Andy and I rarely indulge in a night away at an LA-area hotel. We’ve done it on special occasions (including a recent birthday excursion to the Queen Mary), and when the heat was so terrible that we couldn’t sleep (Newport!). Our wedding, however, gave us the perfect excuse to pamper ourselves a little bit. 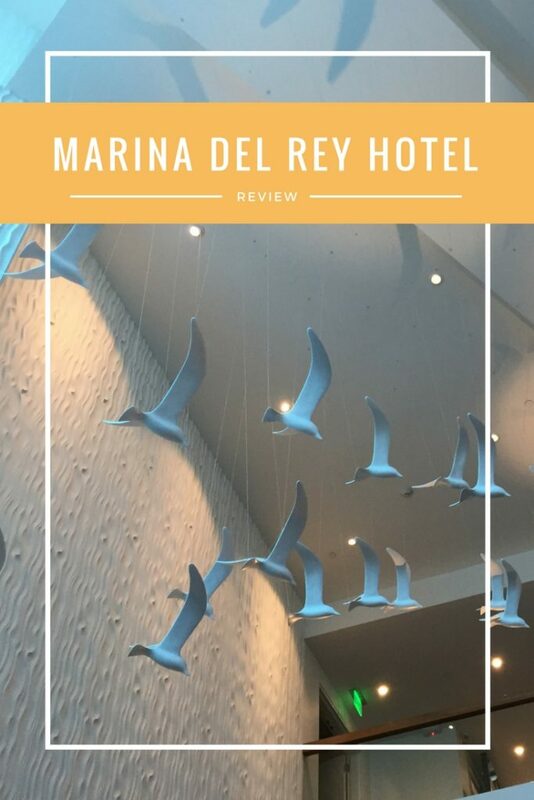 As the wedding was at the California Yacht Club, the recently remodeled, luxury Marina Del Rey Hotel beckoned. We intended to book one of their king rooms with a water view for our wedding night to save us from having to drive all the way back home after the festivities. It had the added bonus of housing my parents for the week, so we knew it would be easy to meet up with family the next day. Much to our surprise, when the front desk found out we were getting married later that afternoon, they upgraded our room to a suite (which made having my hair and makeup done before the ceremony so much more comfortable). 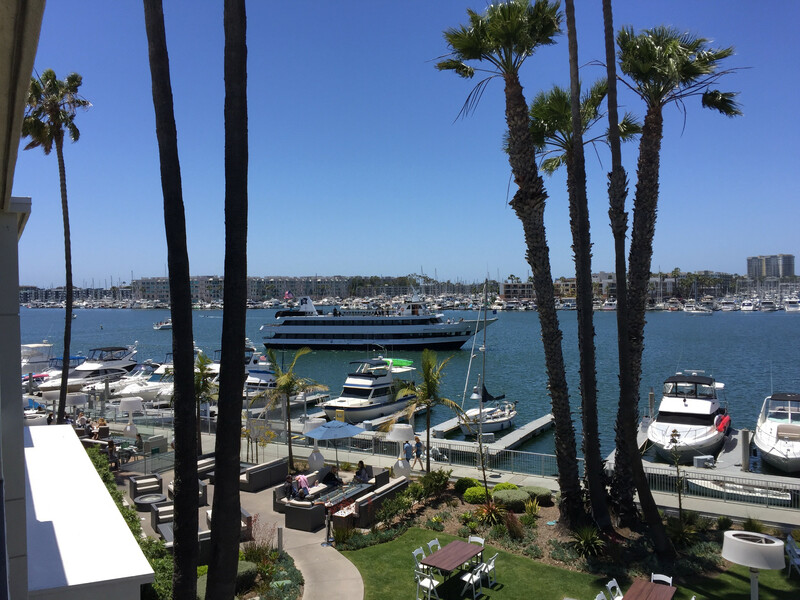 When I checked into our room at the Marina Del Rey Hotel, I couldn’t believe the size of it. I loved that there was a work station, easy chairs and a full living room set-up. 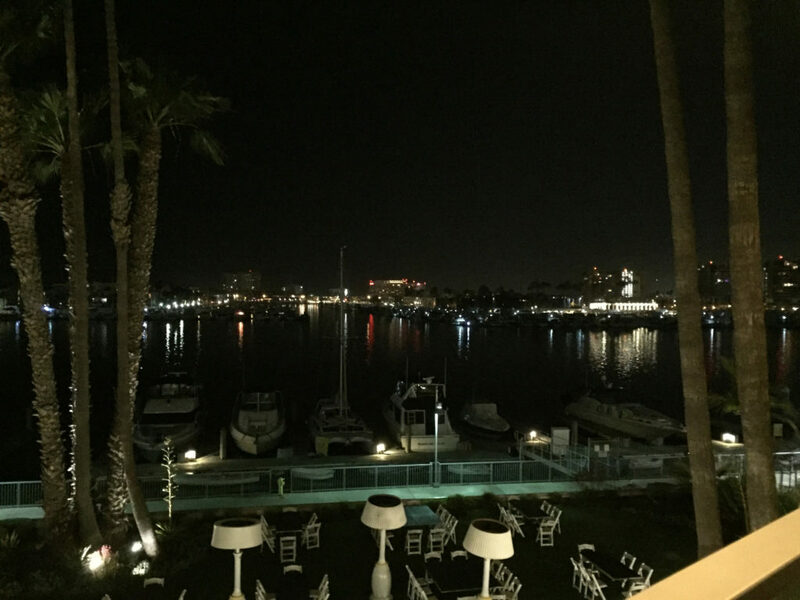 And, of course, the views of the marina were incredible. In fact, there was so much space in our room that we ended up hosting a breakfast for family members who were still in town there the next morning. 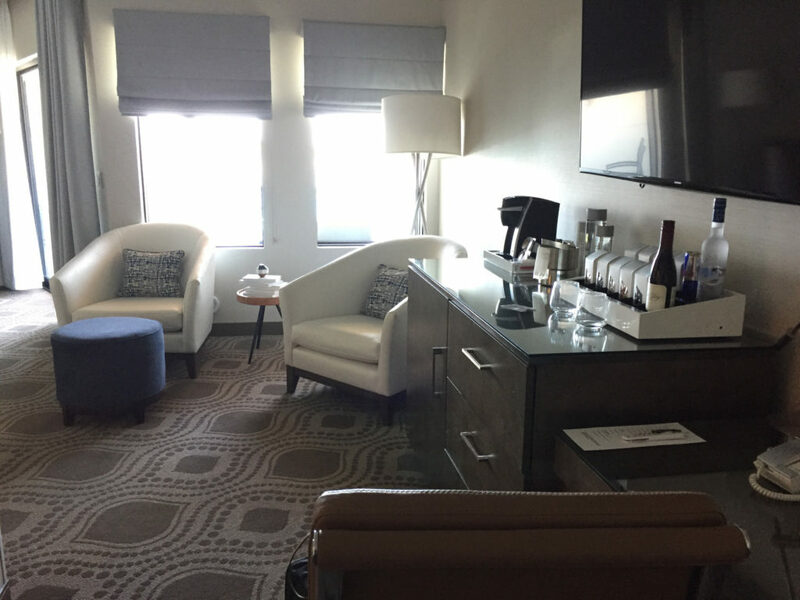 Everything about the suite was plush. The bathroom was well-designed with plenty of soft lighting, as well as makeup lighting options. The shower was huge! We spent some time relaxing on the balcony and then just enjoying the comforts of the space. With the marina lights on and the gentle sounds of the boats in the distance, it was remarkably romantic, too. My only regret is that we couldn’t stay there for more than one night. 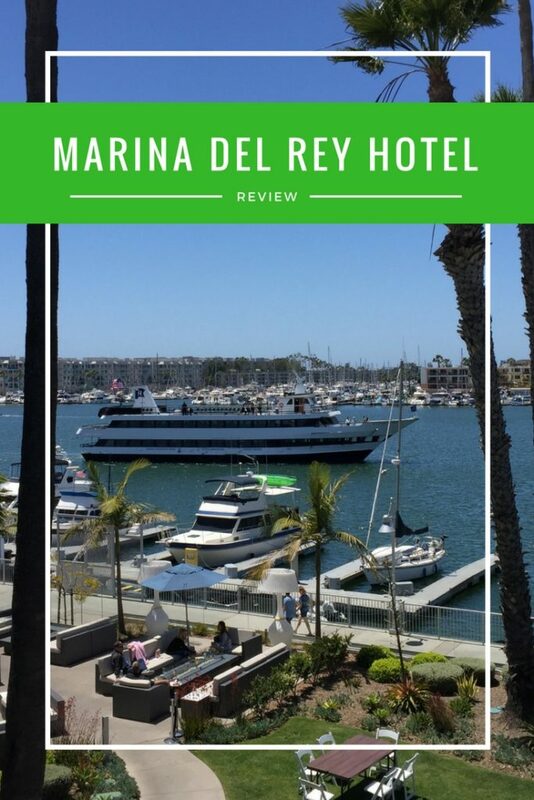 There is a pool downstairs with views of the marina on one side, and a dining room that has outdoor seating on both the pool deck and on the opposite side (which is quite popular for anyone trying to catch the sunset). 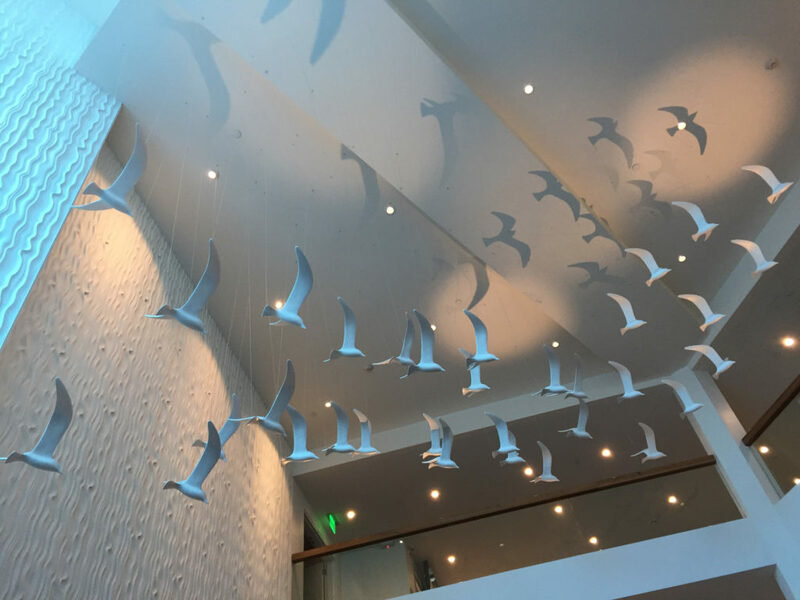 The restaurant, SALT, has not only gotten the thumbs up from critics but from us, as we had several Happy Hours and meals there while our guests were in town. Happy Hour is actually a pretty good deal (we loved the avocado hummus, as well as a number of their other bites), so we are likely to stop again after a day on the boat. While this was the first chance I had to spend any time in the hotel, I understand it has gone through big renovations. The staff was beyond lovely. My parents both walk with canes, and the staff could not have been nicer or more helpful. And when we accidentally broke a table on the balcony, they were quite kind (I know I should have a funny story about how that happened, but Andy literally picked up a small side table and the glass shattered – so more perplexing than funny). 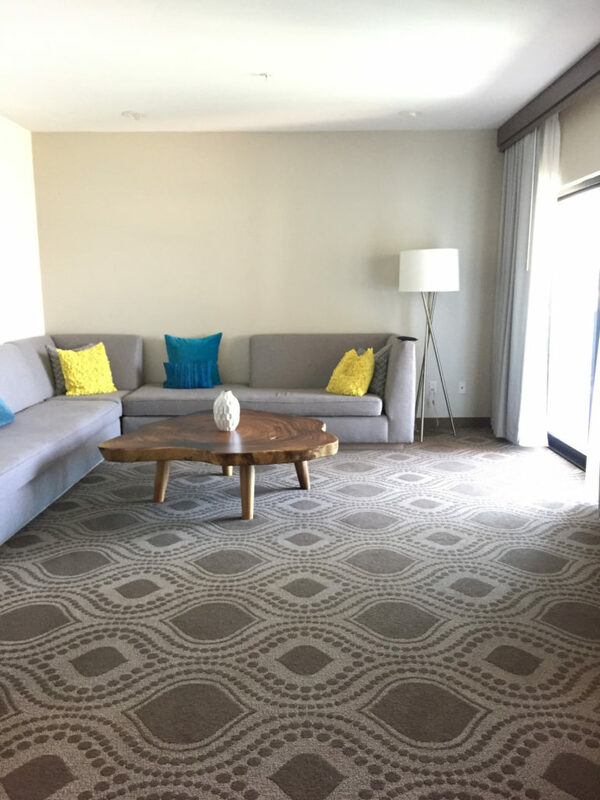 Do we have a future stay planned for the Marina Del Rey Hotel? Maybe! We would definitely recommend it to friends coming into town who didn’t have to stick to a tight budget, and a return for our anniversary sounds like a sweet possibility. 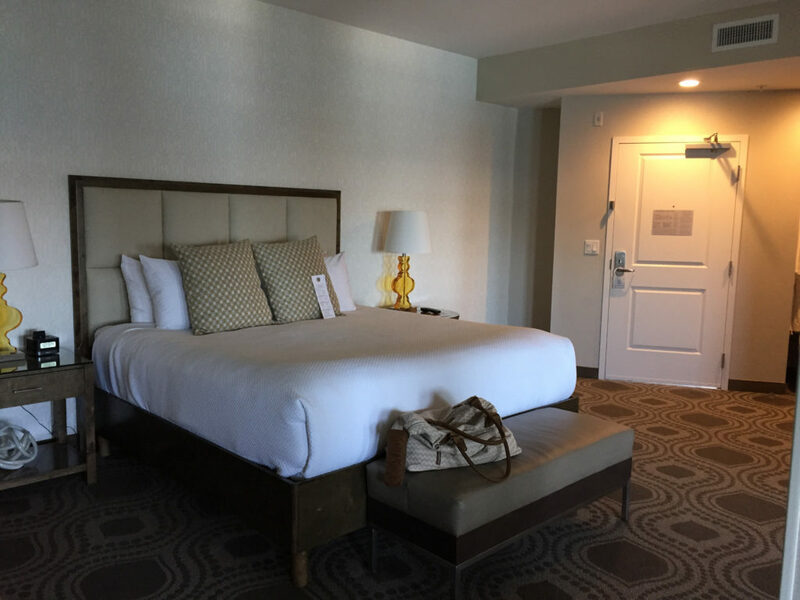 This hotel does become pricey in the summer months with standard rooms running around $370 per night (although they do have package deals), and that drops to around $220-$250 per night in non-peak times. Be sure to check their website – when we were booking rooms, they had a 20% deal for anyone staying four or more nights that was only available directly through the hotel.